OCEANSIDE — Oceanside Harbor has seen several improvements over the past year, the latest being the replacement of the iconic “Oceanside” sign that welcomes boaters. 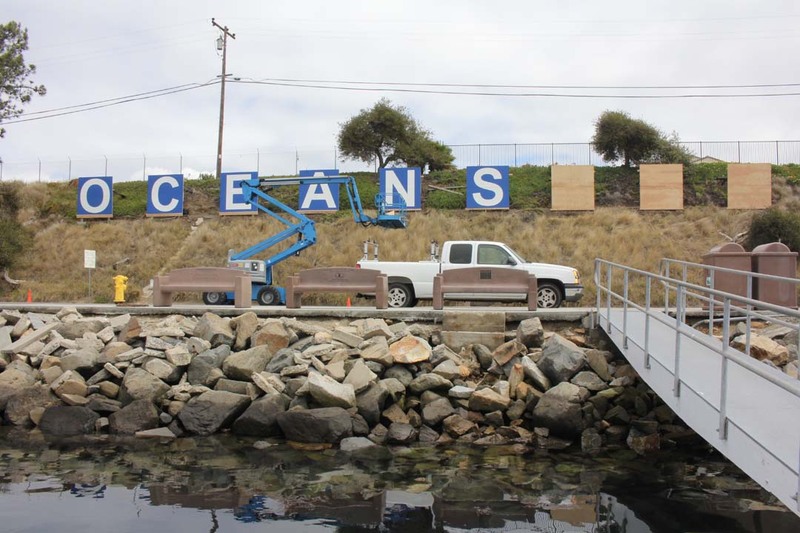 The 96-inch letters were first put up in 1965, according to Oceanside Historical Society photo records. Two years prior to that, the manmade harbor opened. Now, the letters are being replaced due to decades of wear. The new letters were custom made from a durable polymer material, which will withstand outdoor elements. Colors will remain white on blue, with a brighter hue of blue used than in the original wood sign. 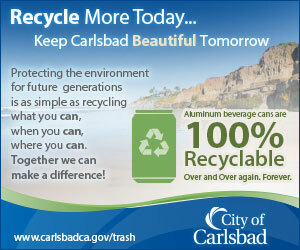 Harbor Manager Paul Lawrence said the new sign has a cleaner, crisper look and greater durability. A local boater, who has been watching the progress, was snapping photos of the partially finished sign. She said she liked the new look. The sign is expected to be completed within a week, weather permitting. Once the letters are in place the city will work with an electrical contractor to install LED lights to illuminate the sign at night. The former “Oceanside” sign was lit with florescent lights. The local landmark is a small echo of the “Hollywood” sign in Los Angeles. The Hollywood letters are a gigantic 45 feet tall. The sign was first built in 1923, and completely rebuilt in 1978. Both signs stood for more than 50 years before they were replaced.